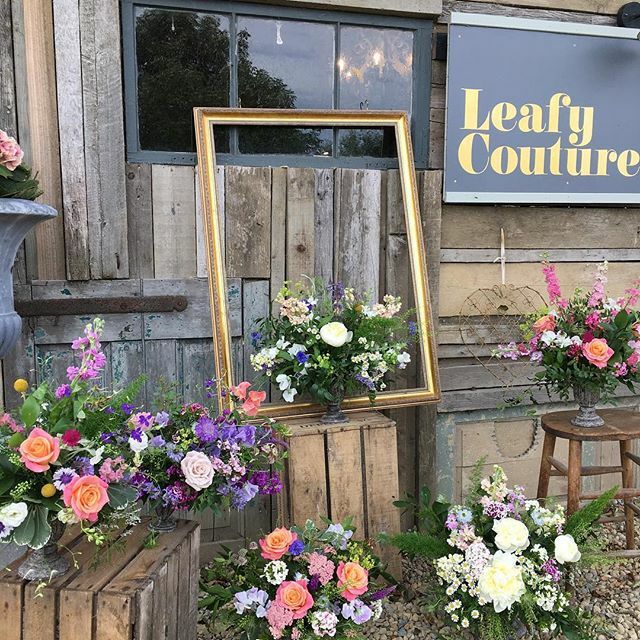 It will come to no surprise to many of you that teaching and growing a new generation of talented florists is one of our true passions here at Leafy Couture. Coming second only to fulfilling (and exceeding!) the dreams of our brides and grooms. 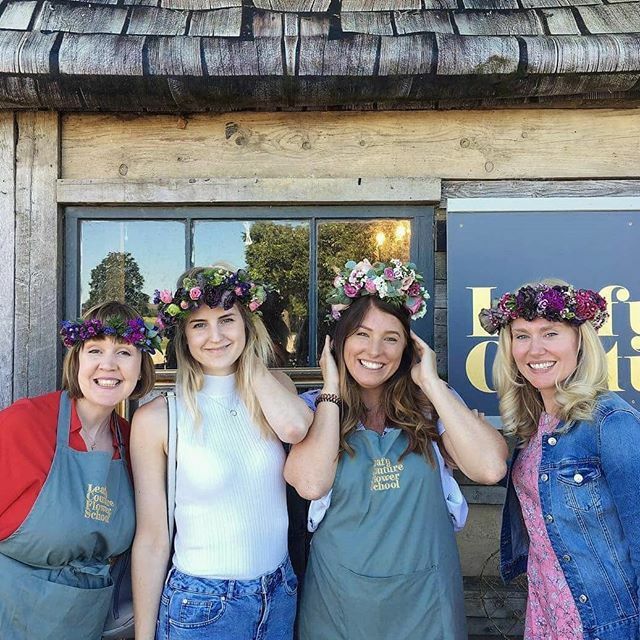 When we’re not creating arrangements and installations for weddings and events, you’ll find us helping florists and flower lovers to learn new skills and grow in confidence from our workshop in Yorkshire. We hold classes and courses throughout the year from two hour Easter Wreath Making Classes, day-long Sympathy Flowers Classes and five-day courses that give you a complete overview of everything you need to become a florist. As one of the most practical and innovative floristry schools in the North, we attract students from all over Yorkshire, Manchester, Newcastle and often London. And we love keeping up to date on Instagram with how our students are doing in their work and businesses after they leave us, and I’m so delighted to share some amazing feedback we got from one talented new florist, Abigail. What made you decide to attend the class? I had been practising floristry / flower arranging for several years but I felt like I needed to diversify my skills. I wanted to learn how to make unique arrangements and mostly, I wanted to boost my confidence and attend a ‘career changing’ course to prepare myself to start my own floristry business. Why did you choose our floristry classes and courses? I initially selected Leafy Couture because of your Yorkshire location, course duration and cost. I had been researching ‘career change’ floristry courses but many of the other required a big time and financial commitment and I needed something flexible which could fit around my existing work commitments and without too much of a commute. And, after hours of scrolling through your Instagram account I realised your style and passion about flowers was exactly what I wanted. What were the easiest and hardest parts of the Introduction to Floristry course? Immersing myself in your world of beautiful flowers and arrangements was definitely the easiest part! The arrangement I found most difficult was the Flower Crown class. While I do like lots of intricate details in my floral design I prefer to work on a bigger scale, creating urns and bouquets. I also found it difficult to work at speed and to walk away from my designs (I could keep titivating forever!) but equally this has helped me to prepare to work as a business because you explained what was and wasn’t commercial. What were the most enjoyable parts of the class? Oh I can't choose! I truly loved every aspect of the week. Despite the one and a half hour commute I was still excited to get up and get to you every morning! My favourite design of the week was on the Arrangements Day, particularly when we created the wedding table centre. This was something I hadn't done before and I really enjoyed learning how to work on a larger scale. What was the most useful tip or skill you learnt on the course? The most useful tip I learnt on the course, on the ‘Setting up as a Florist day’ but also throughout was to not to undervalue myself and my work. Lots of people people want something for nothing and the Introduction to Floristry course gave me the confidence to set my own standards and not compromise on my worth or creativity. In general, the class gave me a huge confidence boost in my abilities and instincts! My friends and family have are always amazingly supportive but to see my bridal bouquet receive over 200 likes on Instagram helped me to believe in myself and accept that I’m ready to go it alone, change my career and start my own business! What have you done since the attending the class? Since attending the course I have been working hard on transforming my old garage into a flower workshop. It was previously unusable and unsafe (with a collapsed roof) so we have spent the past few months rebuilding it. Sadly we couldn't get it ready for December so I'm still on the kitchen work tops but it will hopefully be up and running in the New Year. I’ve been commissioned to make several sympathy flowers and I’m having a super busy December. Every spare minute I have at the moment is going towards my floristry; that includes hosting wreath making parties and creating my wreaths and tributes for the festive period. My hands are ruined and I permanently look like a zombie but it's so worth it! Teaching Abigail and all of our students, no matter what floristry class or course they take, is a delight! We’ve got a number of flower arrangement classes coming up in the New Year and, if like Abigail you want to learn how to be a florist over five intensive but creative days, you can join our next Introduction to Floristry course on the 21 to 25 January 2019.